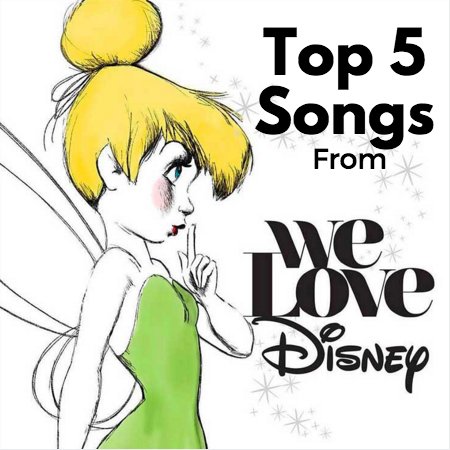 The Disney Den: Top 5 Songs from "We Love Disney"
Top 5 Songs from "We Love Disney"
Remember the days of Disney Mania, when pop singers covered popular Disney tunes? Man, those were the days. For some reason, Disney stopped producing these albums after quite a few editions. I was thrilled to learn that a similar album was recently created called "We Love Disney", which includes a few of my favorite artists. Here are my top five favorite songs from the new album, "We Love Disney"! I'm actually not much of Aristocats fan, but I was quite impressed with Charles Perry's rendition of this song. I didn't know Perry before this song, but I like the fun jazzy feel in this honestly more than the original. Most likely because it's rather modernized, but still good nonetheless! Tackling this song after Robin Williams' death is a rather tough task, but I think Ne-Yo pulls it off rather well. I love Aladdin, Robin Williams, and Ne-Yo...so I guess it's no surprised that I'm a fan of this song. It's similar, but has its significant differences to differentiate from the original and give it it's own style. The Lion King is my all time favorite Disney movie and I absolutely adore the soundtrack, so any different version of these songs is a dangerous task. I really like Jason Derulo originally, and I have no idea if he's a Lion King fan himself, but I feel like he loved singing this song. (Unlike Ariana Grande's Zero to Hero...which was disappointing.) It's fun, slightly different from the original, but still beautiful and captures the spirit of the movie everyone loves and adores. When I heard Gwen Stefani was going to cover this song...I was rather skeptical. My first concert was actually a Gwen Stefani concert, but I'm rather hot and cold with her music. Gwen and The Muppets seemed like a rather random pairing, but I was pleasantly surprised! Definitely one of my favorites on the entire album. Makes me reminisce the time Gwen and I rode on the rafts to Tom Sawyer Island (or Pirates' Lair...whatever) in Disneyland earlier this year. Yes, that actually happened. It's funny, if you asked me if I remembered this song or had even heard of this singer before hearing this song, I'd draw a blank for both. I'm not a big fan of Alice in Wonderland, and I've never heard of any Jhene Aiko songs. None of this actually matters, because her rendition of this song is absolutely wonderful. I have it on repeat many mornings while walking to class or finishing homework. It's so serene, pretty, and unique. I'm definitely going to look into more songs from Aiko, because I've also fallen in love with her voice. 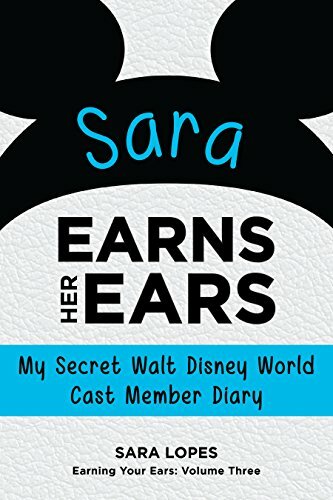 What do you think of the new "We Love Disney" album? Which are some of your favorites? You can purchase your copy of the album on iTunes now! Have a magical day! I absolutely love this! I was pretty skeptical of this CD when I first heard about it because some of the Disney Mania choices I didn't agree with it. But wow -- these top 5 you picked are incredible!